Each mini skein is approximately 50 yds. 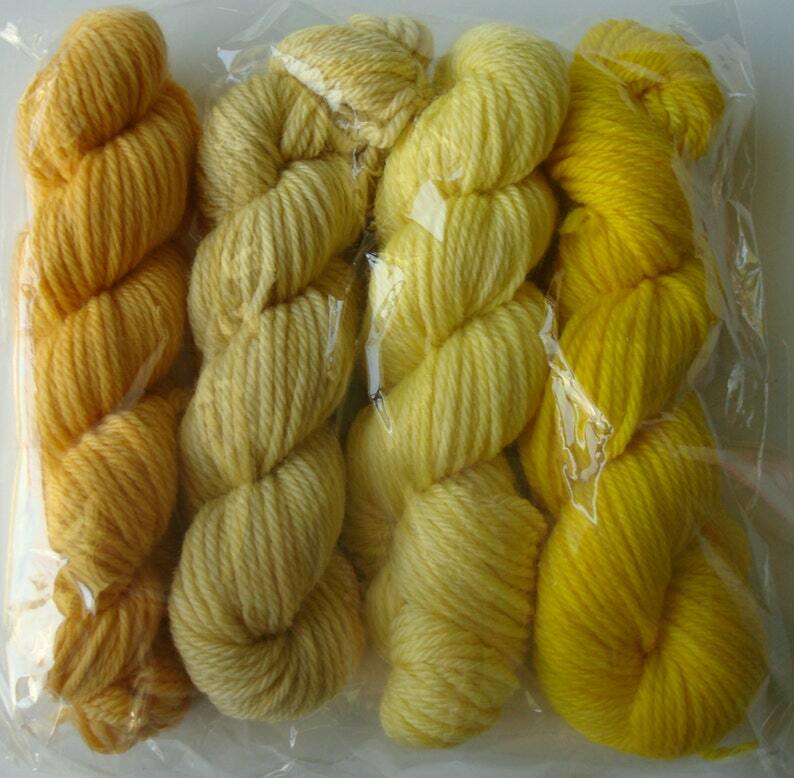 There are 4 mini skeins in this kit. Fiber content: 100% SW merino wool. worsted weight. 3 ply. These minis are great for fair isle, intarsia, weaving, hexipuffs, etc. Yarn colors exactly as pictured (according to my monitor at least). I can't wait to start knitting with this yarn! Always beautiful! Thank you so much! 7% sales tax is applicable to all sales made to a Floridian client as per state law. All domestic orders are shipped via USPS first class/priority mail. International orders are shipped via USPS first class airmail. Fresh From the Cauldron, LLC.